Have you ever been caught up in this dilemma? You have packed up, got to the airport on time, waited for your flight only to be told that it has been delayed. While it could not be a big deal for some people, it could ruin all holiday plans for others. You could also miss an important function, which could be the reason you were travelling in the first place. Sometimes it gets to a point where you need the services of lawyers to help you claim for compensation. 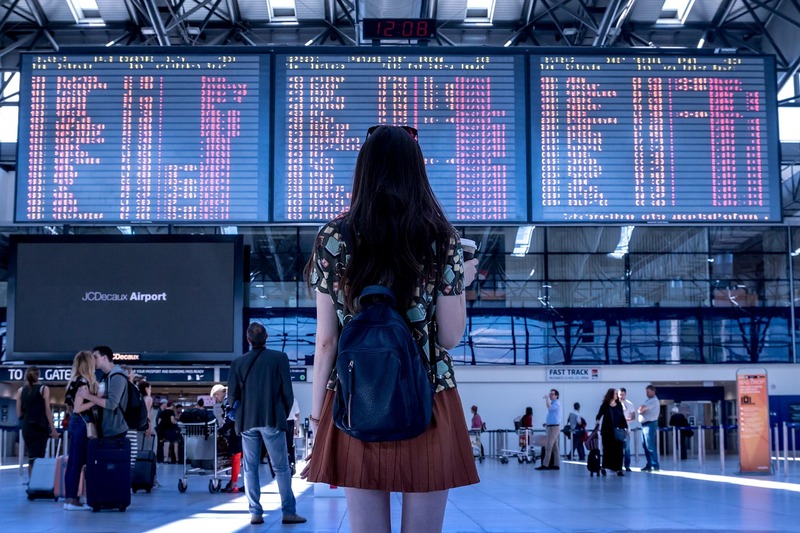 Most airlines will try their best to minimise their liability for inconveniences you might encounter due to a flight delay. If you feel that your case with an airline is valid, never take no for an answer. Below are some of the rights you might not know about when you encounter a delayed flight. You are never guaranteed by airlines about their timetables. They have the right to change or substitute aircraft and the stopping places indicated on the ticket. If you do not make a connecting flight due to this, they won’t take any responsibility. However, if you are kept from travelling due to unforeseen incidents, some airlines might offer you a credit for future travel. Expenses like accommodation, meals, transport and phone calls following a delayed flight are the responsibility of the Australian airline. However, make sure you seek any needed help. If a delay causes you to go out of pocket, ensure you keep all the receipts as they may come in handy if you decide to hire a compensation lawyer. You are entitled to a reimbursement, although such claims are dealt with on a case by case basis. Most Australian airlines will compensate you with refreshments or meal vouchers as you wait at the airport. Some will even go an extra mile to help you find an overnight accommodation at an affordable rate and later compensate for the costs. A good compensation lawyer can help you claim for compensation from the airline if you have enough proof. You can learn more about holiday and travel law in Australia here. This is a common practice in many countries. You might have your pass and check in at the right time only to find out that your flight has been overbooked. Whether you are flying regional or international, passengers are usually asked to volunteer to change their flights. If this change affects you, the inconvenience warrants compensation. There exists a compensation rate in Australia, though some countries deny compensation on an international flight. Check with the airline to ensure the country you are flying to/from has compensation policies. If you realise that your baggage has gone missing or damaged on an international flight, you are required to make a written claim. However, you have a very short time to make this claim. Report to the airline and if the baggage doesn’t turn up soon, deliver the written letter. This should be done within seven days. You get only three days to report lost or damaged baggage and a maximum of 21 days if you lose everything. Missing the deadline means losing your right to claim. A compensation lawyer can help you with the whole process. If you are carrying baggage that is worth more than what the airline can compensate you, let them know once you check in. You might be offered additional insurance at an extra fee by the airline. It is advisable to have travel insurance to cover your baggage. With most airlines, they reserve the right to allocate you a seat or change your previously allocated one. In such a situation, you are expected to accept any seat you are allocated, which could even be a downgrade. At times, you may be asked to wait for the next available flight that has an available seat in the class service you had paid for. If you end up with a downgraded seating, it is only right to get a partial refund to cover the difference between the class you had booked and the seat you were offered. Having a travel insurance plan is the best thing as you will be assured of compensation if things go wrong. Check with your insurer to know what is covered and what is not.